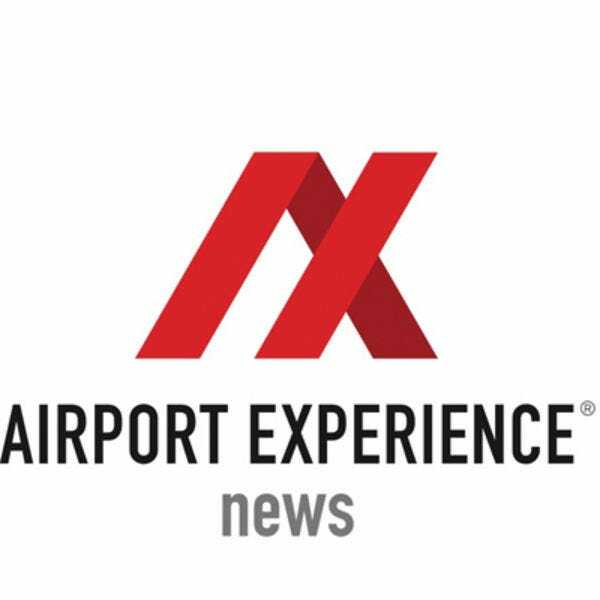 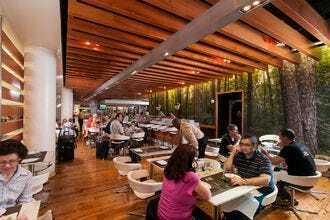 Winning restaurant comes from Dale Earnhardt, Jr.
Longer layovers at the airport don't have to be a drag, especially when you can use that extra time to dine at one of these 10 sitdown restaurants, nominated by Airport Experience News and voted as the best in North America by 10Best readers. 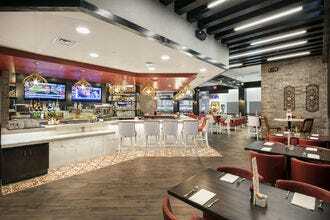 Whisky River, created in partnership with Dale Earnhardt, Jr., features an extensive food menu and a bar offerings for travelers at Charlotte Douglas International Airport. 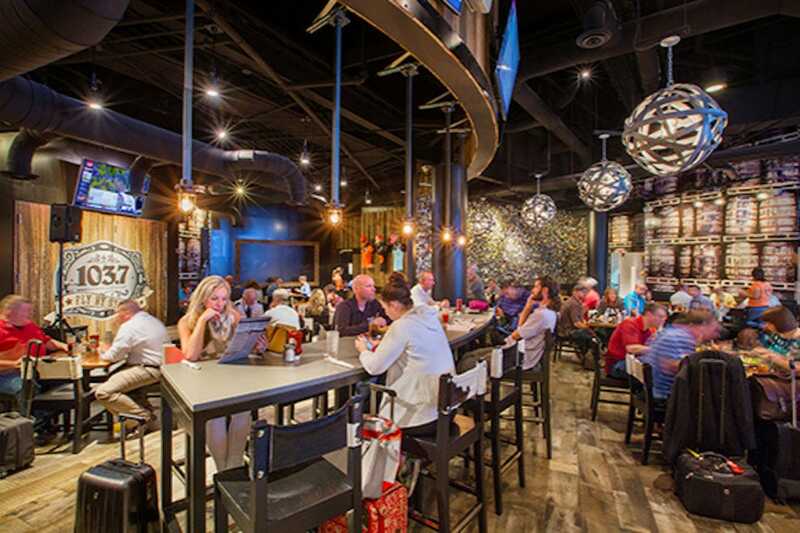 Those with a layover should try the signature drink Moonshine Mule made with Midnight Moon original moonshine, ginger beer and lime juice. The Kitchen by Wolfgang Puck at Greenville–Spartanburg International Airport offers a to-go counter in addition to its full-service restaurant, where travelers can pick up pizzas, house-made waffles, seasonal salads and small plates. 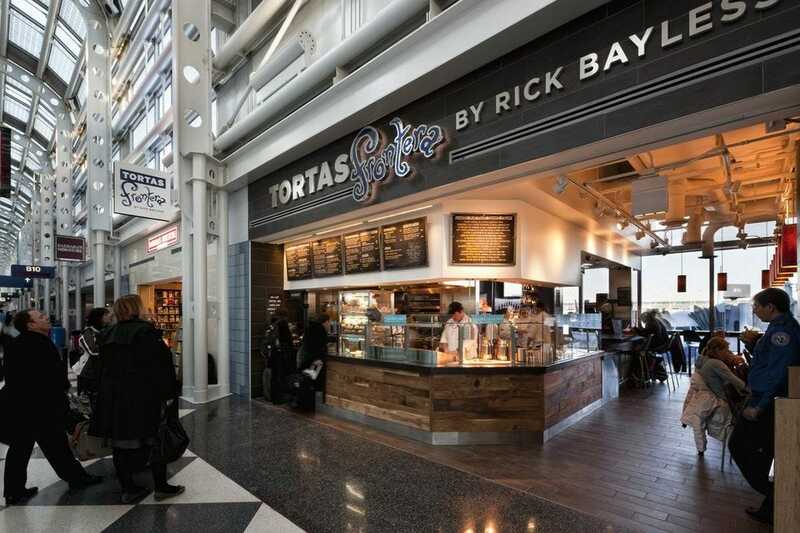 A local San Diego favorite is at the airport! 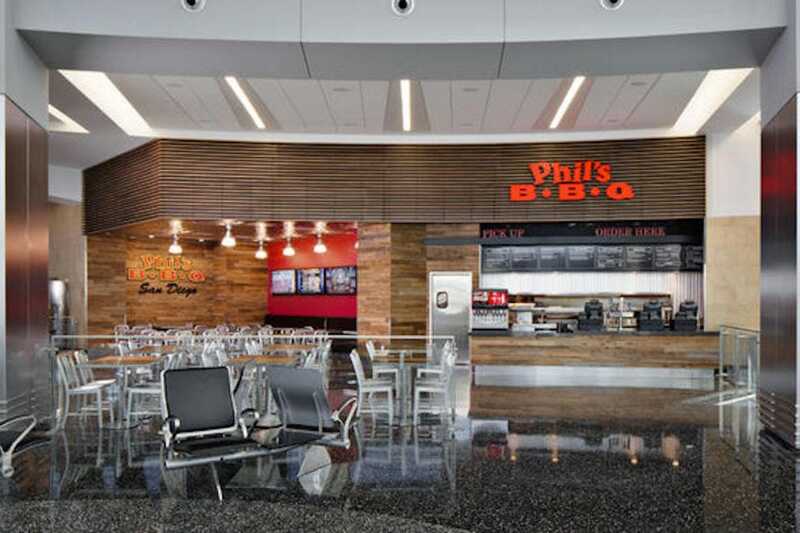 Phil's BBQ serves a menu that lives up to its street-side location. 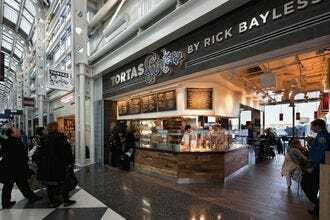 Renowned chef Rick Bayless offers a flavorful menu of Mexican dishes, such as freshly made guacamole and hand-shaken margaritas, at Tortas Frontera within Chicago O'Hare International. 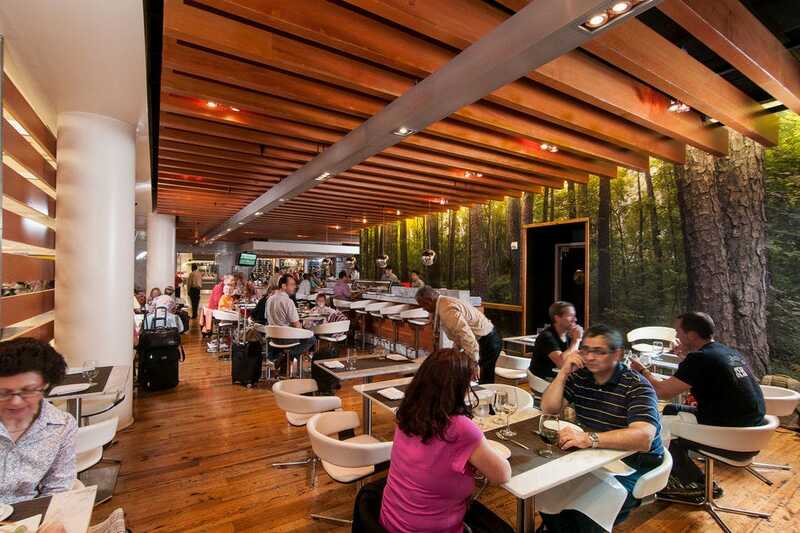 One Flew South at Hartsfield–Jackson Atlanta International Airport is an upscale restaurant with a menu described as "southernational" that includes a pulled duck sandwich, pork belly sliders, lamb, swordfish and even sushi. 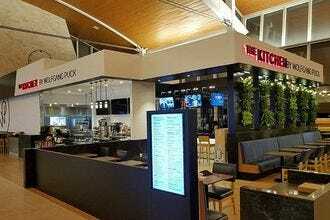 Menu items were developed by Atlanta Chef Todd Richards. 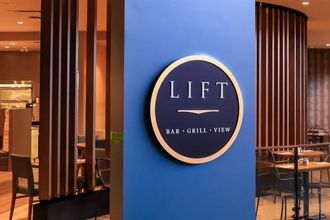 The menu at Bistro on the Bow at Calgary International Airport fuses Albertan and international cuisines into creative dishes served alongside a menu of draught beer and modern cocktails. 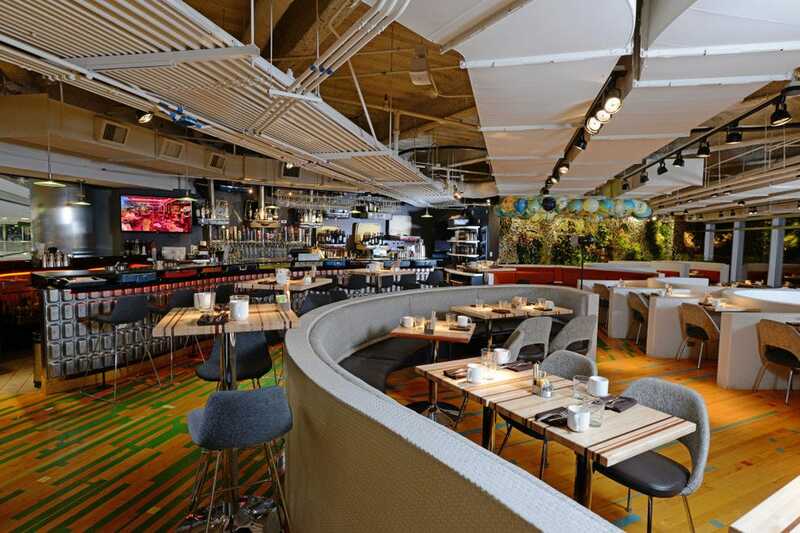 Based upon the award-winning Denver favorite of the same name, Root Down serves a menu of locally-sourced, globally influenced seasonal cuisine. The restaurant offers a wide selection of wines, beers and spirits as well. 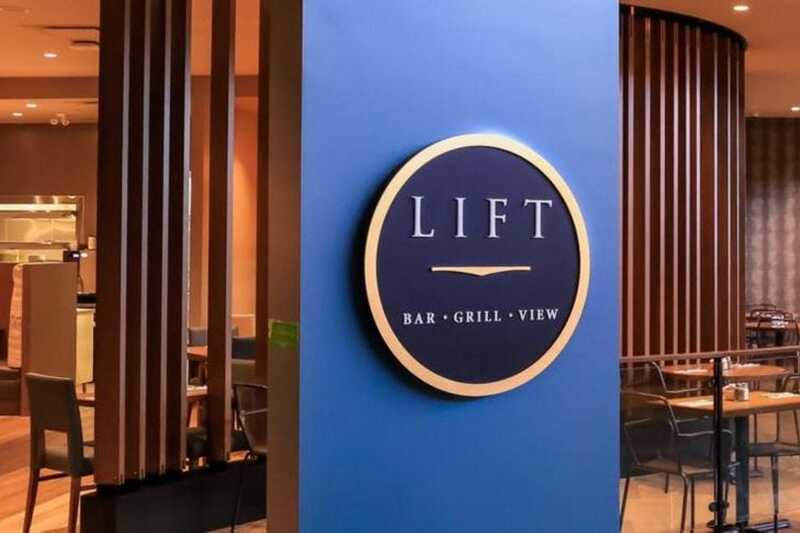 Urban and elegant Lift Bar and Grill at Vancouver International Airport serves up the flavors of the Pacific, alongside a menu of local wines and regional craft beers. 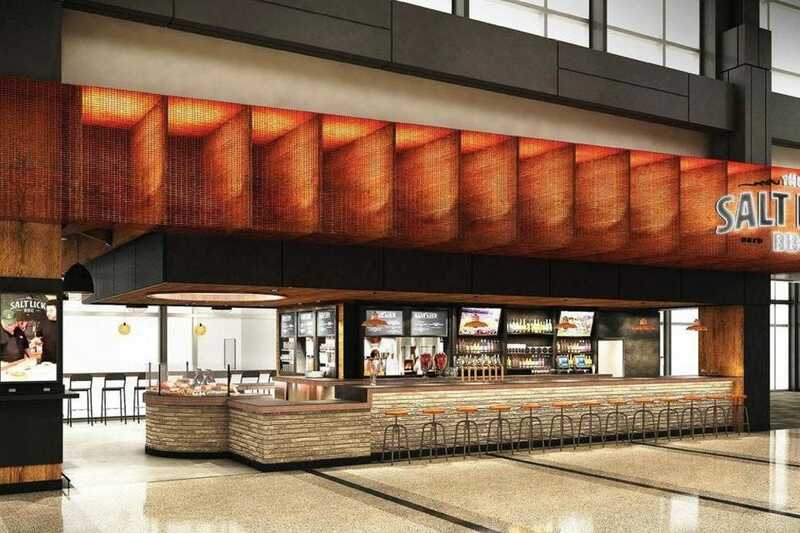 Austin Bergstrom International Airport has its own excellent representation of the original Salt Lick BBQ, hailing from Driftwood, Texas. 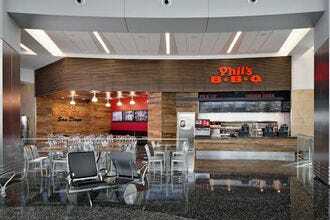 The food is very good, and travelers have the option to take some brisket and sauce with them for a taste of Texas back home. Hugo's Cocina at George Bush Intercontinental serves up fresh and flavorful dishes from several regions of Mexico, all made from scratch, Menu items include migas, Baja fish tacos, pozole and slow-cooked carnitas.